Purple Rocky Road Bracelet Just $5! You are here: Home / Great Deals / Purple Rocky Road Bracelet Just $5! This bracelet will pair fantastically with your sweaters this winter! Order the Purple Rocky Road Bracelet forJust $5! 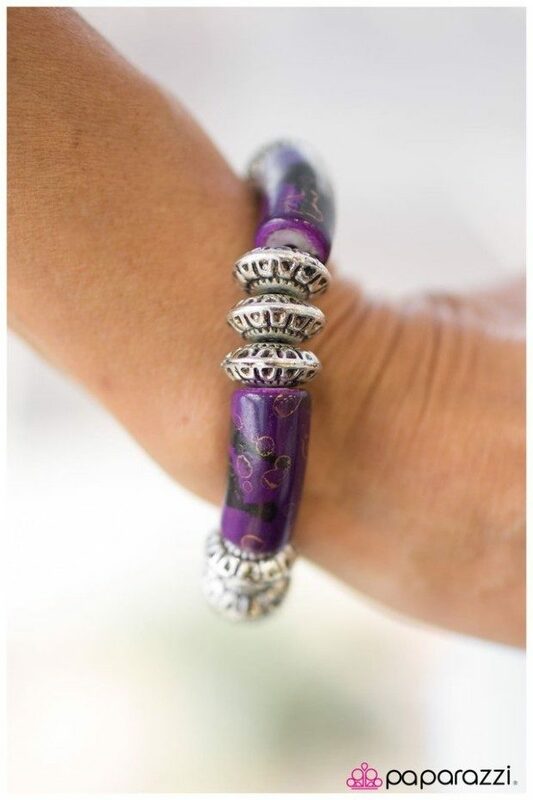 Cylindrical purple beads splashed with speckles of black paint are threaded along a stretchy band with silver discs that have been etched with texture.